In this class, teens and adults will learn how to do hundreds of small exercises throughout the day to improve their whole-body health and well-being. 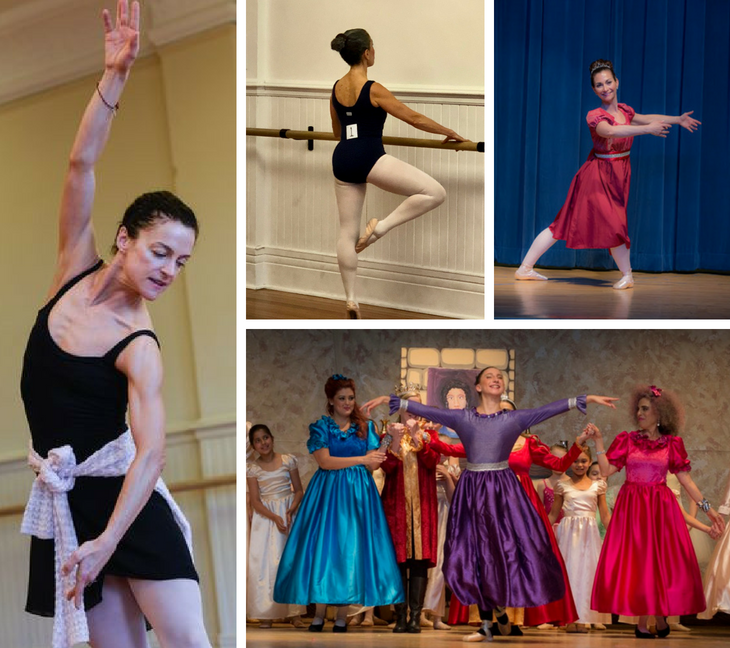 Ballet classes are a great way for adults to get and stay in shape, reduce stress, exercise their brain as well as their body and meet new friends in a relaxed and cordial environment. This five-week program is designed for adults of all ages and experience levels. Come dance with us and find out if ballet is the personal development opportunity that’s right for you! You will take a mobility test in the first class and retake it the last week to provide a baseline for your progress. You will learn where you hold tension in your body and how to correctly release, stretch and strengthen various muscles to improve your alignment ..Let’s build a strong foundation to support your movement-rich life. Classes will be conducted by Miss Adele who is a Nurtritious Movement-certified Restorative Exercise Specialist. etc??? Tuition is $200 for 4-weeks of class. Registration and tuition are due by Monday, June 24, 2019. You may register at the studio and pay by cash, check or credit card, or register online below and pay by credit card. Enrollment of at least 5 students will be required to ensure this class offering is not cancelled. Tuition payments are non-refundable and no adjustments will be made for missed class days. Come move with us this summer. Wear comfortable clothes and footwear. Enjoy!